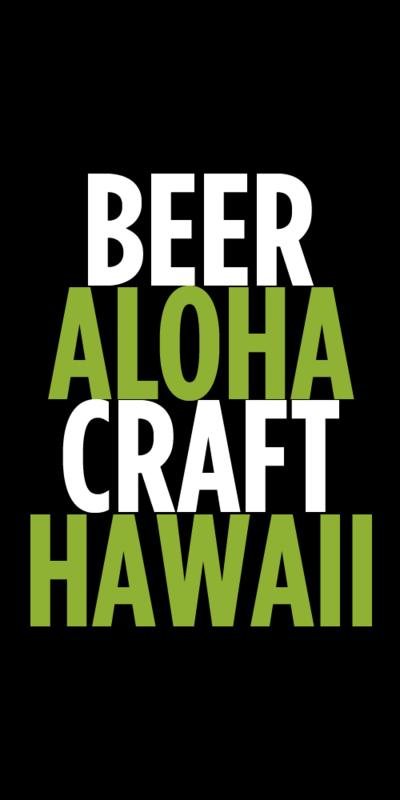 The 2014 Kona Brewers Festival is almost here and those who were lucky enough to get tickets should be very excited. This years event has a stellar line up of breweries pouring a slew of great beers (see below for full list) and fantastic local restaurants serving up all you can eat grinds. This year the festival aims to be a “zero waste” event, which means that 90% of the waste from the 3,000 volunteers, servers and food and craft beer lovers at the Brewfest will be pre-cycled, recycled or composted. In 2013, food waste filled two truckloads that were taken to a local pig farm for feed and compostable forks, spoons and cups were saved from heading to the landfill. Additionally, recycling efforts amounted to five full truckloads of plastics, metals and paper. In an effort to even further lessen landfill waste from the event, there will be no paper plates used for food this year. Instead, all food will be served on locally harvested ti leaves, which are 100% biodegradable. And no more disposable forks. This year each guest will receive a re-usable spork along with their commemorative mug to take home. This will eliminate composting or disposing of over 12,000 forks and spoons. You’ll be able to fill that take home mug with a lot of great beer. Below is the full list of beers each brewery will be pouring. Red Hook Brewery: Long Hammer IPA, Audible. 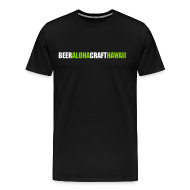 Tags: events, festivals, Kona Brewers Festival. Bookmark the permalink. Traveling to Maui in mid-August. Any beer events on tap during that time? Not that I know of. The Maui Brewers Festival is usually in May. But the new Maui Brewing might be open in Kihei by then. If not head up to Kahana to visit their pub and check out Rock and Brews in Paia. For all those Brew enthusiast, you could be the next Brewery right here on the Big Island. We all know successful beer or spirit brands are about more than simply the line of beers or alcohol they brew. Brands that have the ability to invoke a memory, make a personal statement, or simply offer something so unique it must be tried and also has a leg up on the competition for consumer attention. The following property offers a one of a kind opportunity which can be created into a New Brewing Empire with the MADE IN HAWAII aura. A key ingredient in beer and spirits is the water and we have something truly unique to blend with your malt and hops. These two Keaau properties (1@2.9 acres and 1@ 2.4 acres) on the East side of the island sit on top of aquifers 8,000-12,000 feet below. Water so special and unique a successful water bottling operation has been distributing it for over a decade. The next owner will inherit the entitlements to a percentage of the water production. Besides this amazing water source, this property has in place transferable Special Use Permits approved by the County of Hawaii for development of a brewery, distillery or soft drink facility and, a beer garden/visitors center. Any bottled drink can be produced with the exception of pure water; Hawaiian Springs Water Company is already on site. Sake, Vodka, Beer, Soda, Tea, Flavored Waters, etc. are all possible. 1) We got Volcano’s! – The property is located just off of Highway 11 which is the main roadway connecting Hilo with Hawaii Volcano’s National Park and its estimated 1.35 million visitors per year. 2) Tourism Appeal – According to the National Park Service, visitors spent in 2010 an estimated $122 million at the National Parks and the surrounding communities of the Big Island. 5.) Plenty of capacity for growing demands – Existing Water Well-Pump capacity of 280-300 gallon per minute. An owner may also elect to install an additional well to meet their specific demands. The water source alone would set your brand apart and sets the wheels in motion for a vision- a craft brewing facility making craft beer with pristine Hawaiian water or other beverage products complete with a visitor center with a beer garden and tasting room to capitalize on the exploding local and visitor population.